The last thing the world needs is another latte photo. 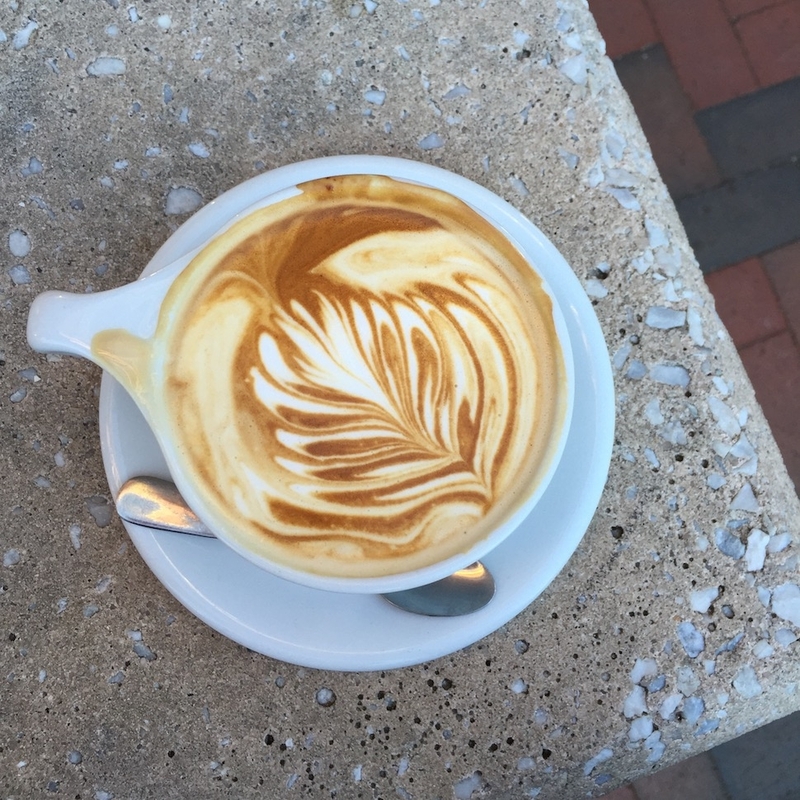 But c’mon, how pretty are the creations at High Five Coffee in Asheville, North Carolina? This seed-to-cup shop and proud Counter Culture partner now has three locations, its newest along the French Broad River. The barista’s choice specials are a thing of beauty. Take the ‘Gimme Samoa Please’: It’s a double cappuccino laced with chocolate and caramel sauce, sea salt, and coconut extract, and served with a Girl Scouts Samoa cookie on the side. The ‘How to Be a Redhead’ is a 6 oz. Americano with brown sugar and clove syrup, an orange oil rim, and a raw almond, date, apricot, and sesame truffle for nibbling. Pretty sure you won’t find that one at Starbucks. 190 Broadway St., Asheville, NC; 828-398-0209. 13 Rankin Ave., Asheville, NC; 828-713-5291. 2000 Riverside Dr., Ste. 54, Asheville, NC; 828-785-8272.